What is the Maryum Islamic Center? Maryum Islamic Center is a faith-based congregational organization focused on educational, spiritual, and interfaith activities for the community. Maryum Islamic Center strives to nurture the spiritual health and quality of life for Muslims and to contribute to the wider tapestry of the interfaith community. 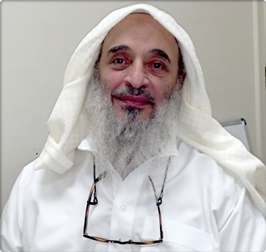 Imam Mahmoud Abdel-hady is the Imam of Maryum Islamic Center and Masjid in Ellicott City, Maryland, as well as an instructor with Islamic Leadership Institute of America (ILIA). He is also well known for his service to the community, including offering marriage counseling to many families and taking an active role in interfaith and Dawah efforts. Imam Abdelhady served the community as the imam of Dar Al Taqwa in Ellicott City for 19 years. Imam Abdelhady offers Quran explanation, memorization and recitation classes. He is a well-known speaker on creed, application of Islam, and outreach. With over 30 years of experience, Imam Abdelhady is very active in inter-faith dialogue and outreach, family issues, youth educational services and community capacity building. Imam Abdelhady is also much appreciated by local community members for his dedication in providing halaqat for families, brothers, and sisters. His weekly women's halaqa has been known in the community as a warm and supportive environment for new revert sisters, as well as sisters who have been with the community long term.